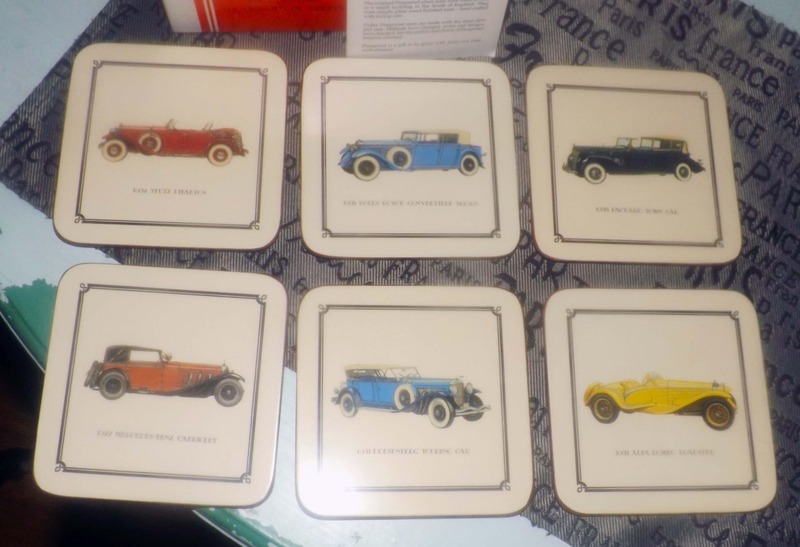 Set of 6 vintage (early 1960s) Pimpernel cork-backed coasters complete with their original box, labels and box insert featuring classic cars | automobiles. These coasters are in EXCELLENT! seemingly UNUSED! condition and accordingly have NO! marks or stains and NO! rips or tears to the imagery. The cork backs are in EXCELLENT! unmarked and unbroken condition with their original Pimpernel Made in England stickers affixed. The original box and box insert are in EXCELLENT! condition with NO! broken or torn corners to the box and MINIMAL! shelf wear. Box text and graphics are bright, clear and fully legible | viewable. 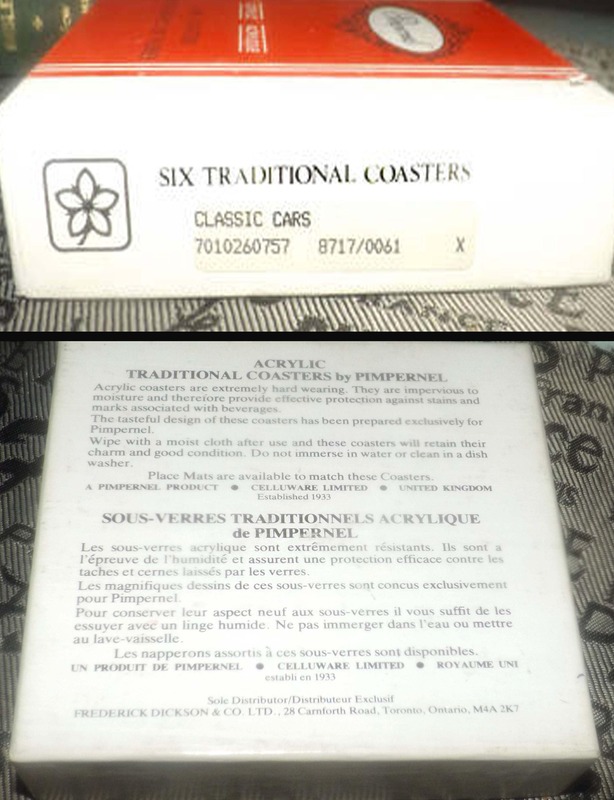 Original sticker affixed to side of box reads 6 traditional coasts CLASSIC CARS 7010260757 | 8717 0061. 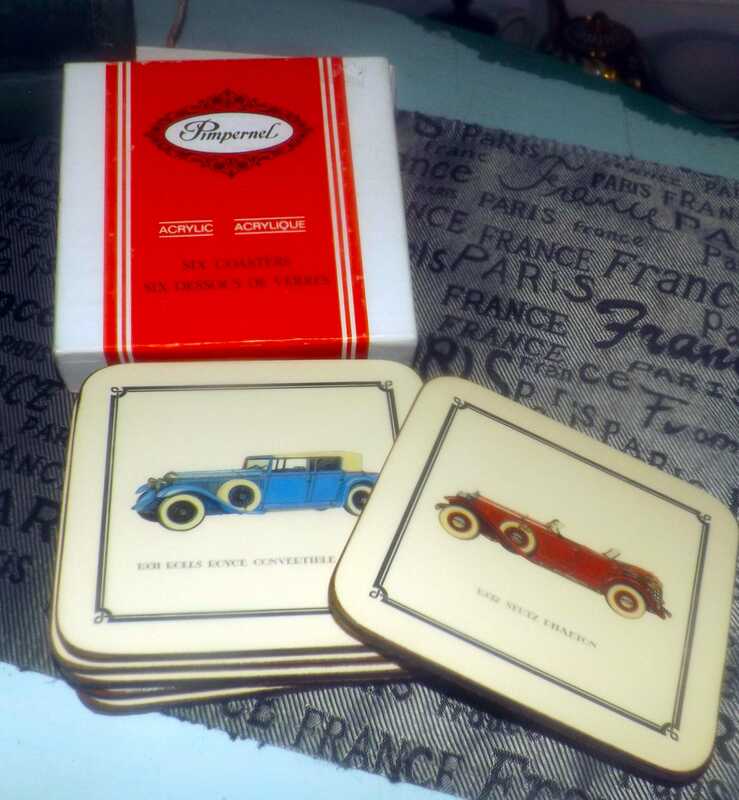 Very hard to find these classic car coaster sets by Pimpernel and all the moreso in this EXCELLENT! 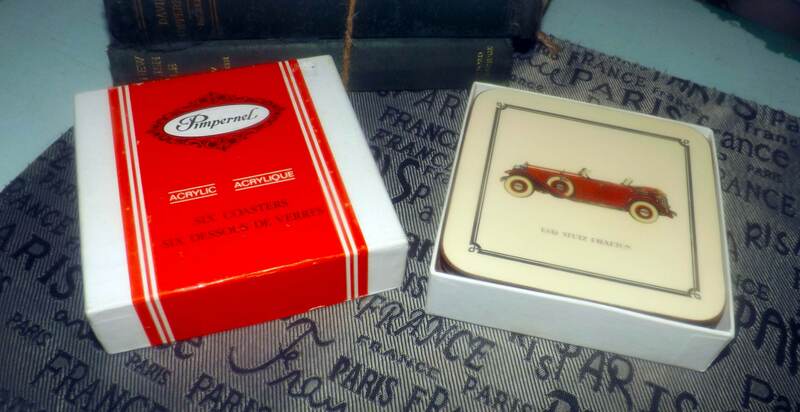 condition with all original labels, original box and original Pimpernel use and care booklet. 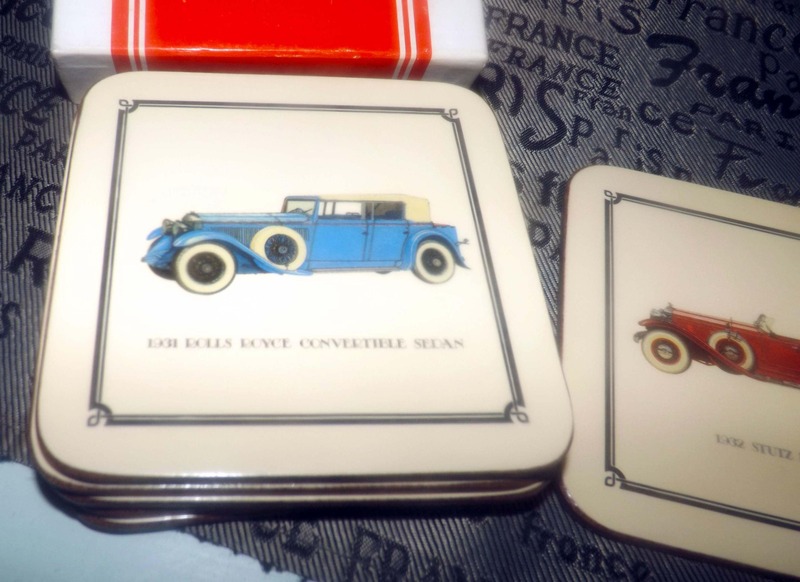 Great stocking stuffer | present for the car buff or enthusiast! Approximate measurements: each coaster measures 5-1/2" square with an acrylic front and cork back.